On Sunday 26 November 2017, at Evensong in St Mary’s Church, Marmullane (Passage West, Co Cork) the Bishop of Cork, Dr Paul Colton, was in the parish to bless the recently installed organ. The service on Sunday was the culmination of many months’ work, as well as a reflection of the generous financial support by many parishioners past and present. At the start of the service, the clergy processed through a silent church to the organ. After the blessing of the organ by the Bishop, the organ builder Padraig O’Donovan, played the organ prelude, ‘La Rejouissance’ from Music for the Royal Fireworks by Handel. In his sermon, the Bishop reminded the congregation that the parishioners, in undertaking this project, had ‘done something beautiful for God’. The theme of beauty in worship was reflected in several of the hymns. The opening hymn, ‘Angel voices, ever singing’, reminds us that ‘craftsman’s art and music’s measure, for thy pleasure all combine’. The canticle, Laudate Dominum, was sung as the hymn ‘O praise ye the Lord!’. Verse three contains the line, ‘loud organs, his glory forth tell in deep tone’. Former organist, Dermot Locke accompanied the chanted psalm and canticles, while current organist Roger Ellis accompanied the hymns and the choir anthem, ‘Sing of the Lord’s goodness’ by contemporary hymn writer Ernest Sands. This instrument was designed with the accompaniment of congregational singing in mind. Its range of stops provides variety to the organist, so that it can give a strong lead when required, while at the same time also being capable of sensitive accompaniment for a soloist and quiet music during reflective times within the liturgy. It is an ideal organ for a church of this size. 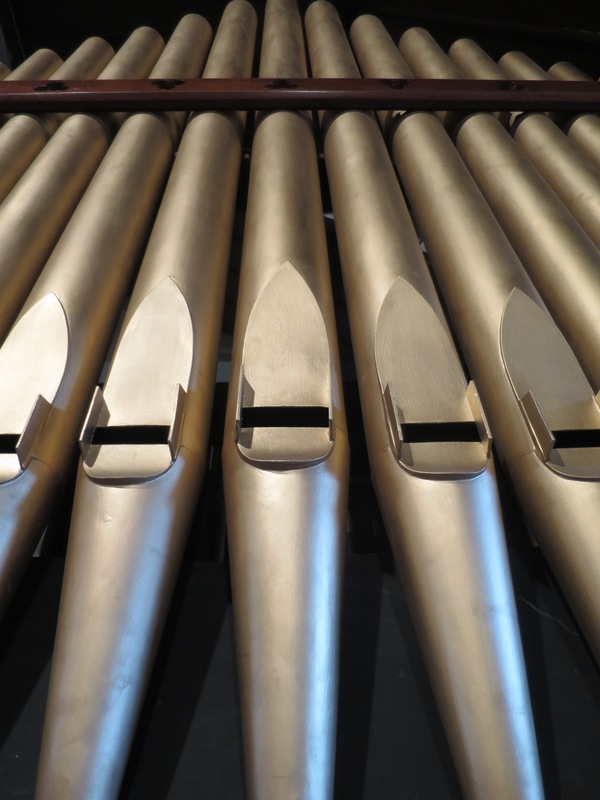 The parishioners and benefactors are to be congratulated for their commitment to ensure that live organ music of a high standard will be heard in Marmullane into the future. The rededication service for this wonderful church organ was magnificent. The combined choir from the parish sang with such vibrancy. Given the theme of the Kingship of Christ, the service ended on a high note with the hymn ‘In the name of Jesus’ sung at an enthusiastic pace to the lively tune Camberwell. The organ replaced an older organ which had been installed in the 1880s by the Cork organ builder T.W. Magahy & Sons. Unfortunately, the instrument had deteriorated over the years, making it virtually unplayable and forcing organists to use the three or four remaining stops that still worked.The parish faced a dilemma. This organ’s life was near an end and it was riddled with woodworm. It would have been uneconomic to restore it and so the decision was taken to replace it, not with an electronic keyboard, but with a pipe organ appropriate to the size of the church building. 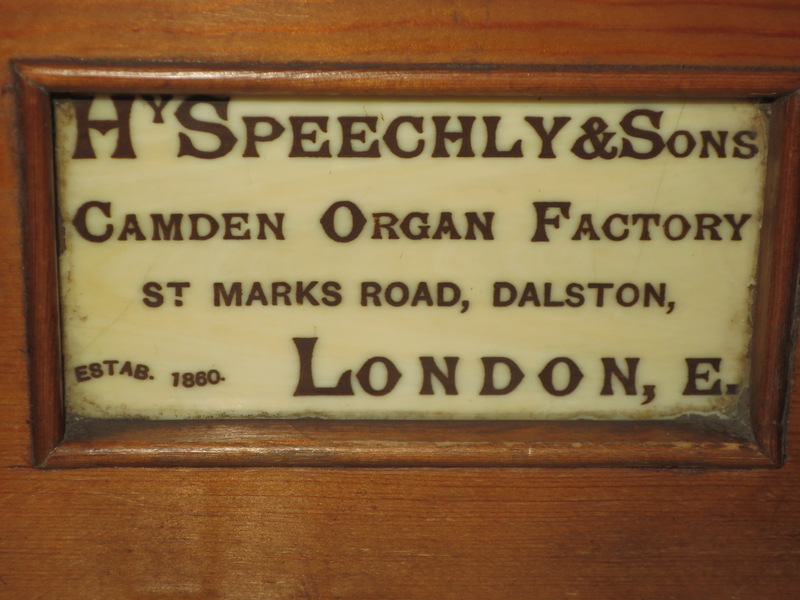 In November 2015, a replacement organ made by Henry Speechley & Sons of London, was sourced and generously donated to Marmullane. Since 1900 it had been used in Romsey Methodist Church near Southampton. It was in very good repair, having been restored some thirty years ago. The church decided that they no longer required it and wished to remove it with the intention of exporting it to Italy. However, in the end that plan fell through, and it came to Cork. An enthusiastic group of parishioners got behind this project, firstly dismantling and removing the old Magahy organ over several days. This was done under the supervision and guidance of local organ builder, Pádraig O’Donovan. Later some volunteers provided practical assistance to Pádraig when the Speechley organ was being installed. 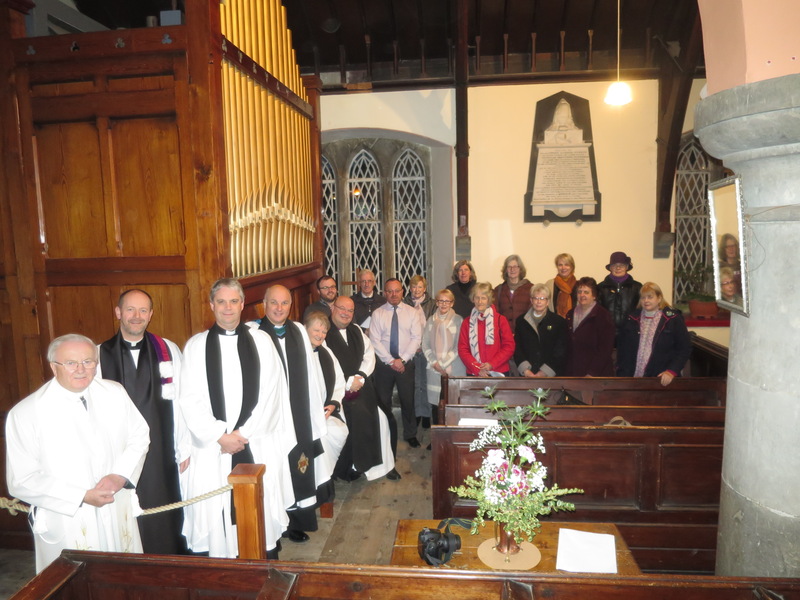 Choir, organists and clergy join the Bishop at the organ after the Service in Marmullane. This entry was posted in Bishop, Church Music, Church Services, Dedication, Organ, Organist, Parish News. Bookmark the permalink.